Dive into this addictive combination of Laksa seafood curry broth, loaded with sweet crab meat, crispy shrimp tempura, surf clams, smoked bonito, and topped with fresh bean sprouts, basil and lime. Laksa is a classic soup dish found in Malaysia, Singapore, Indonesia and Thailand. Consisting mainly of spicy curry, coconut milk, a protein such as chicken or fish and rice noodles. Our Laksa is made with fifteen different herbs and spices including fresh turmeric, lime leaves, galangal, ginger and lemongrass which we grind into our own unique curry paste for the base of our Laksa broth. 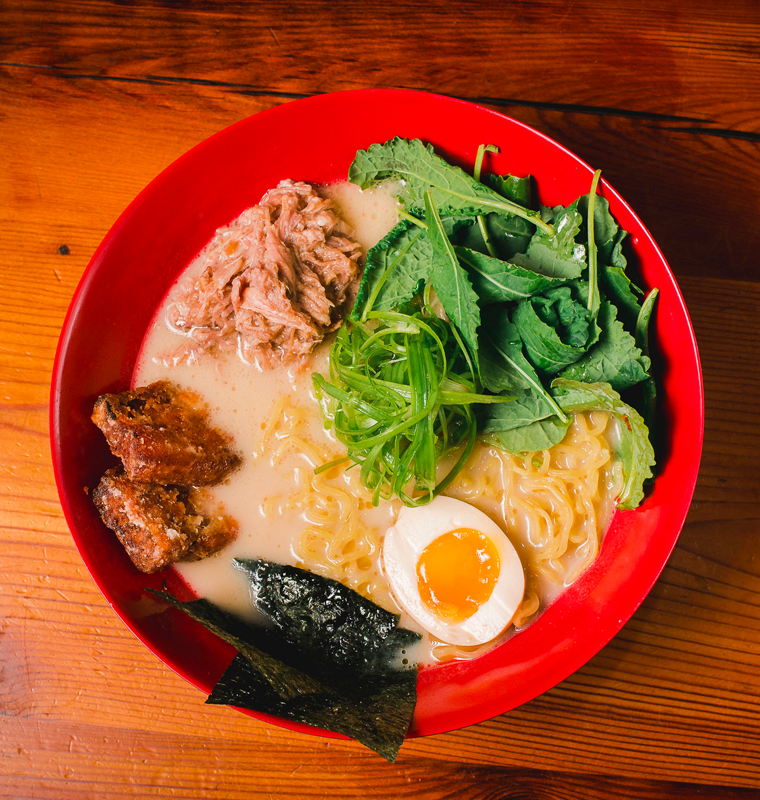 Although the more traditional Laksa dishes call for rice noodles, we use our famous ramen noodles for added more flavor. 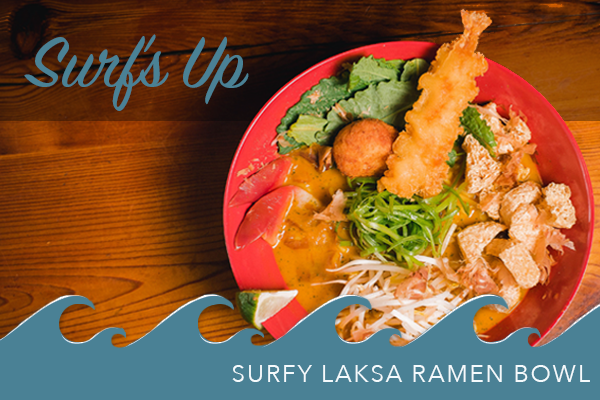 Get a taste of fresh caught seafood with our Surfy Laksa Ramen Bowl paired with a refreshing Orion Lager. Your winter will (almost) feel like summer!